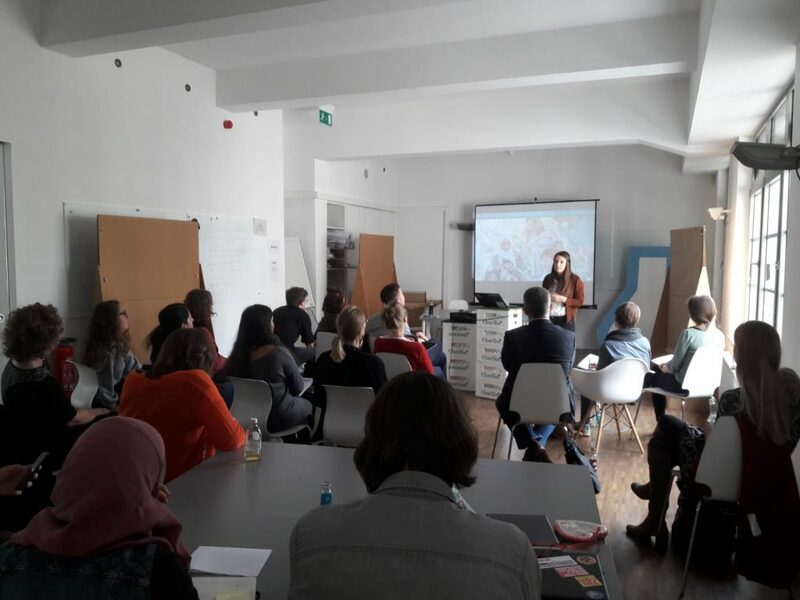 Having made its rounds to the German cities of Cologne and Munich over the past two years, the Social Impact Camp returned for its third edition in Frankfurt from 26 to 28 September 2018. As partners of the event, our CEO Kathrin Wieland and German Key Account Manager Malte Hoepfner had their hands full throughout their time there, during which they took part in a panel and hosted one BarCamp session as well as one workshop. We caught up with them for the highlights. Social Impact Camp 03 kicked off in the evening of 26 September with a podium discussion on the topic ‘Trust is good, impact is better: How does impact thinking connect social enterprises, civil society and public administration?’. Kathrin on the all-female panel at the kickoff event to Social Impact Camp 03. 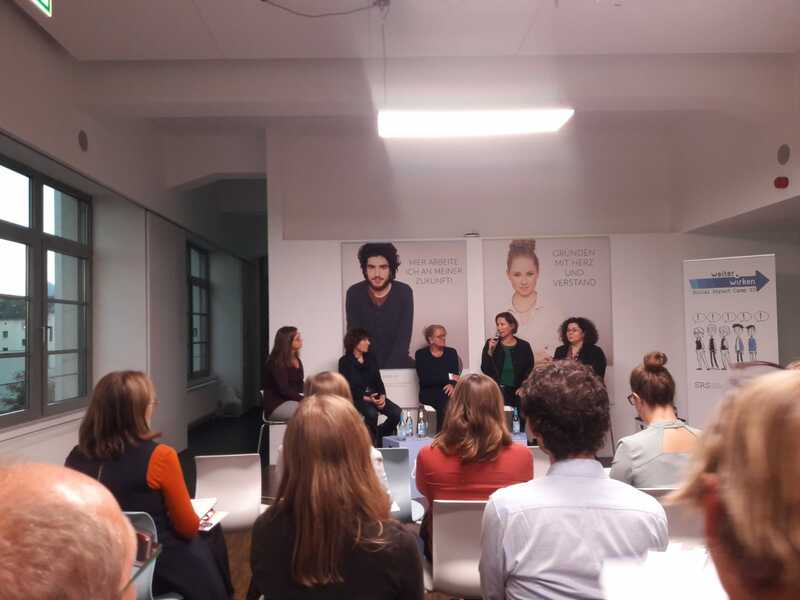 Kathrin was one of four women who sat on the panel, all of whom came from a span of backgrounds including academia, politics, and the non-profit sectors. Together, they discussed the opportunities and obstacles faced in building synergies across the boundaries of these sectors, in order to embrace innovative and sustainable ways to cope with social challenges. A full schedule awaits participants at the Social Impact Camp. Who’s in? The second day of Social Impact Camp started bright and early, with a first keynote delivered by Johannes Müller, CEO of CorrelAid – a network of more than 650 data scientists working to promote data for social impact in Germany. Needless to say, he had plenty of insights when it came to data collection and the role data analysis plays in civil society. Next up, a second keynote from Magdalena Keus, Executive Assistant to the Managing Directors at the Financing Agency for Social Entrepreneurship (FASE). She spoke about the work her organisation does in supporting outstanding social enterprises, as well as the impact investments they have helped to facilitate. Then it was time for Malte’s favourite part of the Social Impact Camp: the barcamp sessions. Barcamp session planning in progress. To the uninitiated, BarCamp sessions are open, participatory workshop-type events in which its participants provide the content. As representatives of TolaData, Kathrin and Malte moderated a session on using digital tools for impact measurement, in which they gleaned lots of insights into common difficulties others face in adopting digital services. The key takeaway in overcoming these challenges? Always be clear in explaining where the value lies when you take the digital approach. The discussions at the BarCamp session also revealed differences in how the meanings of the English word “impact” and its supposed German equivalent, “Wirkung”, are understood. Turns out that in German, “Wirkung” encompasses both impact and outcome, with a strong consensus around the idea that only outcomes – not impact – can be measured. Talk about being lost in translation! Interesting from an intercultural perspective, although this demonstrates a need for organisations to redefine what they’re measuring. 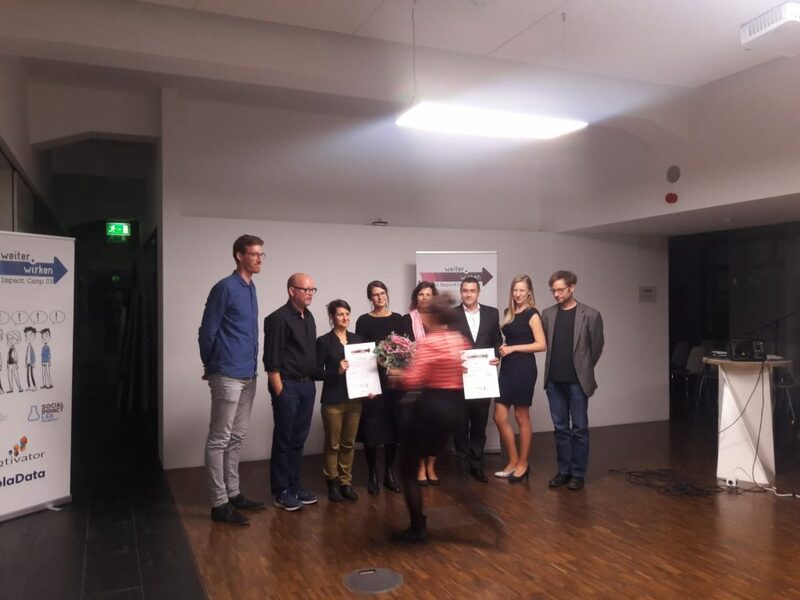 To cap off what had already been an eventful day, there was the prize-giving ceremony for Social Reporting Champ 2018, which honours social organisations in the DACH region that demonstrate exceptional models of impact reporting. The Hamburg-based wellcome gGmbH and Augsburg-based Papilio e.V. were this year’s winners, scooping up top awards in ‘Impact Models’ for the former, as well as in ‘Impact Documents’ and ‘Finance & Organisation’ for the latter. Honest sharing among the workshop participants. 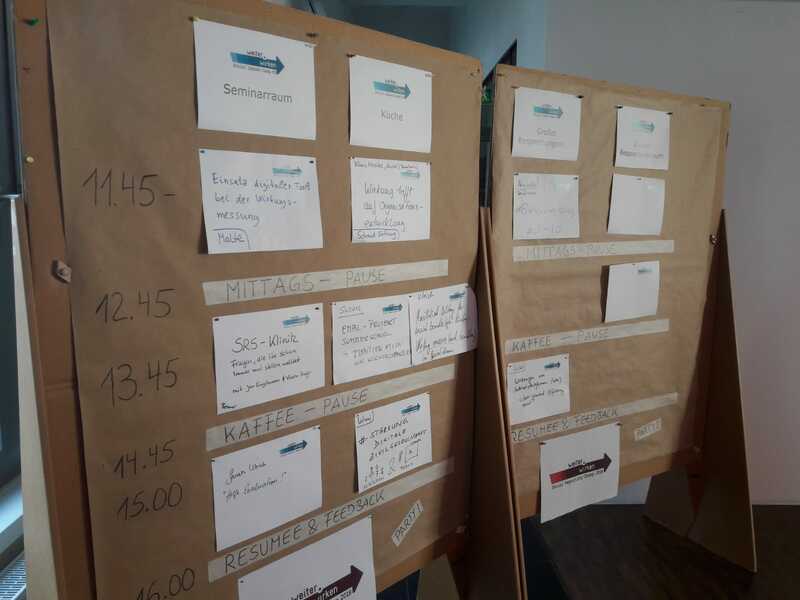 Before Social Impact Camp 03 drew to a close, there was still one last workshop led by Malte on ‘Impact Assessment with TolaData’, through the example of Family Playdates – a German organisation which brings together refugee and local families – as a case study. Over two and a half hours, he took numerous questions from a room full of non-profit professionals who were eager to learn more about the practical aspects of impact measurement via TolaData. 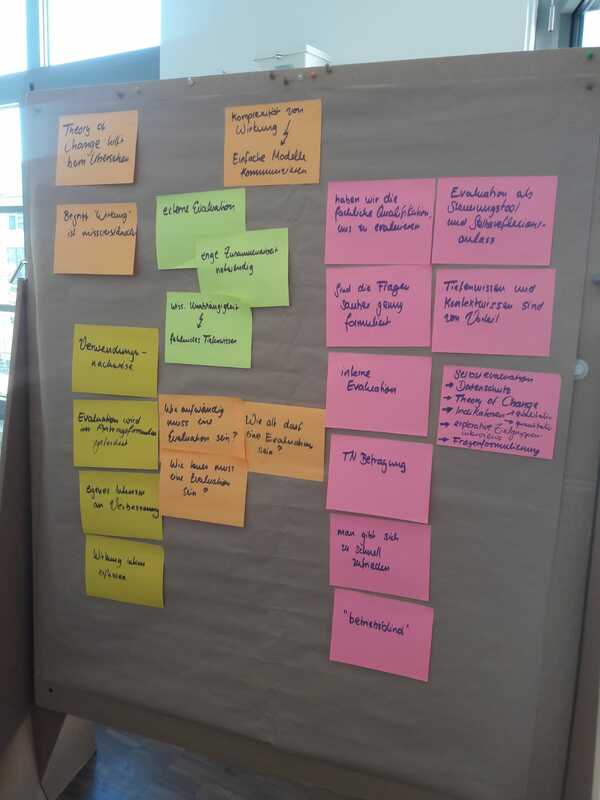 For Kathrin, the events of the three-day Social Impact Camp highlighted the critical role monitoring and evaluation (M&E) plays in guiding policy makers to be able to differentiate between effective and ineffective social programmes to create the best results. Before we sign off, we’d like to extend a hearty ‘Thank You’ to Social Reporting Standard for giving us the amazing opportunity to be a part of Social Impact Camp 03. That’s all for this year’s edition!